We can’t overstate the importance of good quality, properly installed gutters and downspouts. If your gutter system is in less than perfect shape, you’re risking not only roof and siding damage, but also serious foundation damage and mold and mildew in the basement. Every home in southeastern Wisconsin is different with its own unique challenges. 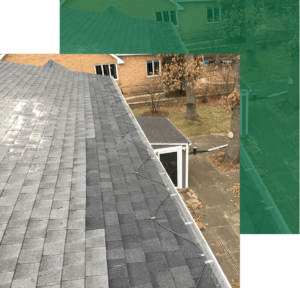 A gutter system that can handle the Milwaukee area’s rainy and snowy weather requires customization and weather resistance. Twin Pines uses ACM and Quality Edge gutter material. We offer 5-inch and 6-inch gutters, and all of them are .032 pre-finished seamless aluminum. We also have our own sheet metal shop where we can fabricate just about any style of steel gutter. Twin Pines offers large 3-inch by 4-inch rectangular downspouts and expertly installs them to direct water away from your foundation. Even the best gutter system will fail you if it isn’t fastened properly. Twin Pines installers secure gutters with heavy gauge aluminum hidden hangers, no more than 32 inches apart for maximum strength. Safety, professionalism, and efficiency guide our gutter and downspout installation process. If you choose Twin Pines for your gutters, we’ll get the job done promptly and ensure it will last. You must regularly clean your gutters to avoid overflow. If you let your gutters fill with debris, you may face damage to your siding, windowsills, landscaping, and foundation that could have been avoided. Make your life easier with a gutter guard system. We install Raindrop gutter protection systems that do not have a screen or a sponge. They’re completely maintenance free and self-cleaning. Raindrop allows small debris to flow through the gutter and downspout, while the bigger debris washes over the top of the gutter guard. With a 20-year limited warranty, Rain Drop should last the lifetime of your roof and gutters. Contact Twin Pines for help. We’d be happy to inspect your gutters and discuss gutter repair or replacement with you. With skilled craftsmanship, competitive pricing, and timely response, Twin Pines takes pride in protecting homes and satisfying Wisconsin homeowners.